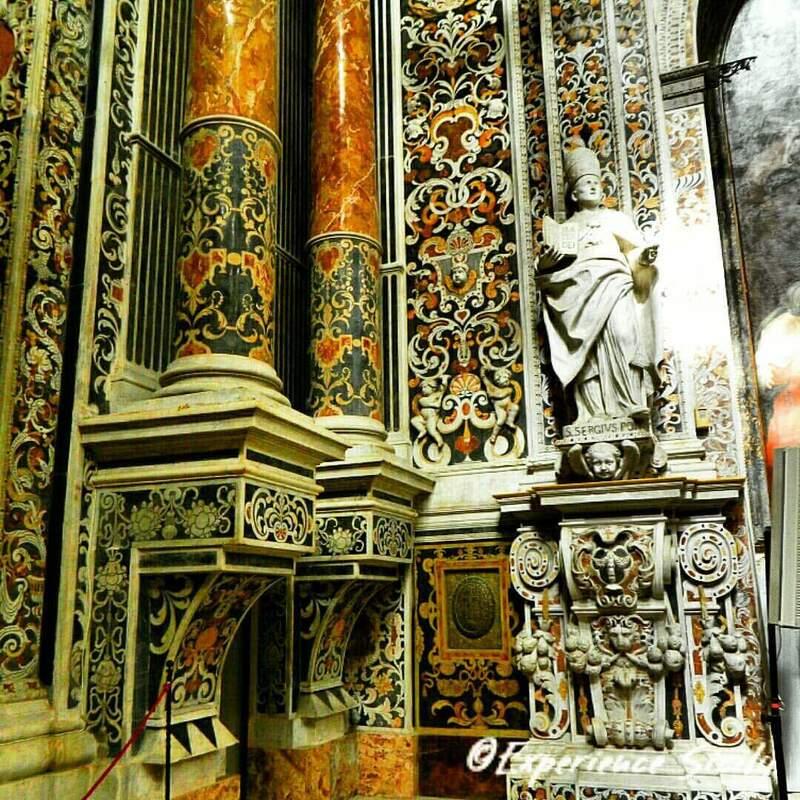 This is one corner of the mind-blowing baroque church, Monumentale Chiesa Dell’Immacolata Concezione, constructed in 1612 in Palermo. … Wait, let me explain better: that’s not painted. The designs are inlaid marble of all different colors!